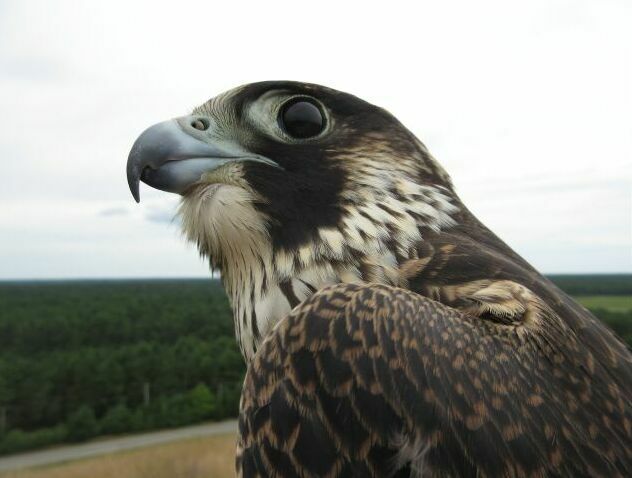 A raptor banding station was built on the Wareham/South Carver town line in southeastern MA at the Carver Marion Wareham Landfill (CMW) in 2012. It is perched on the southwestern end of the landfill. 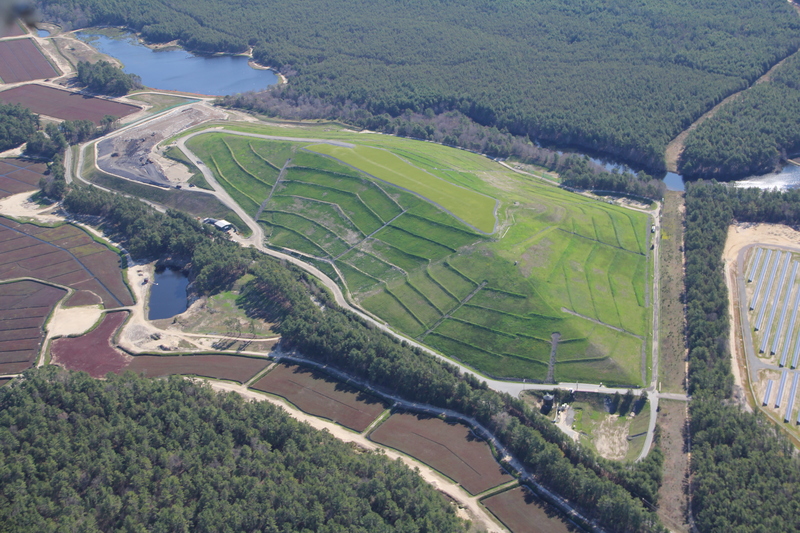 This project has documented that birds of prey utilize this Landfill during spring and fall migration. 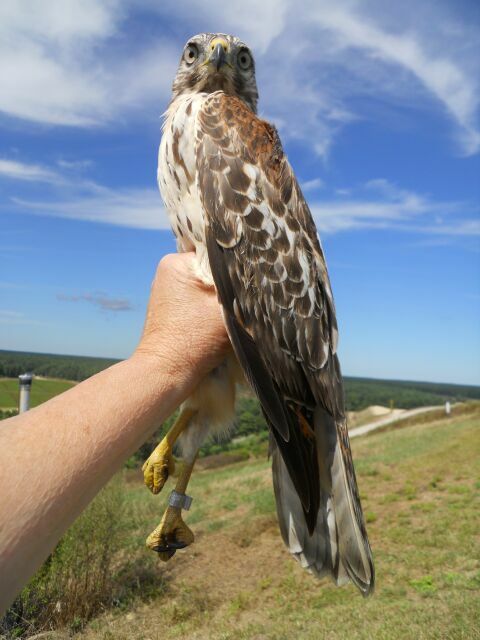 US Fish and Wildlife bands are placed on all captured birds not previously banded. 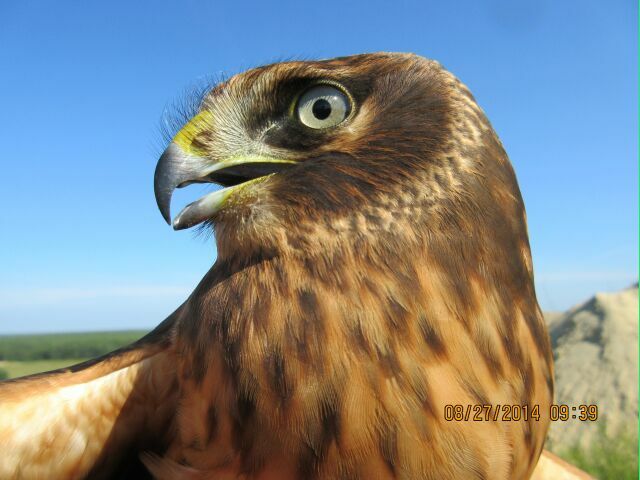 Eight raptor species have been caught: northern harriers (Circus cyaneus), Cooper’s hawks (Accipiter cooperii), red-tailed hawks (Buteo jamaicensis), red-shouldered hawks (Buteo lineatus), Swainson’s hawk (Buteo swainsoni), Peregrine Falcons (Falco peregrinus), Merlins (Falco columbarius) and American kestrels (Falco sparvarius). 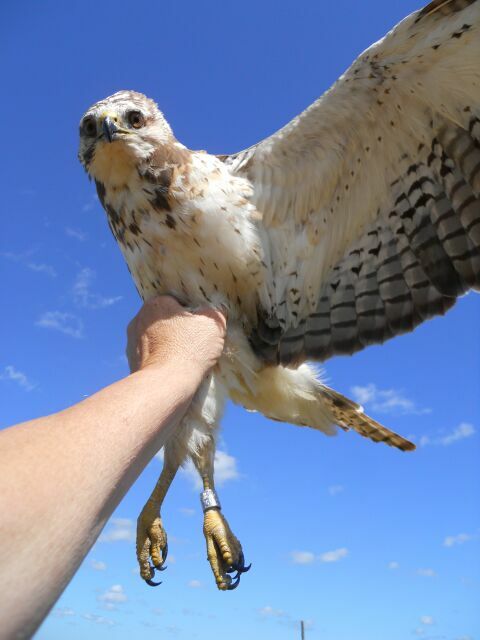 Raptors trapped are quickly banded, measured, weighed and released. Weather is a key factor to whether or not the banding station will be manned on any given day. CMW has proven to be a desired habitat for migrating birds of prey. 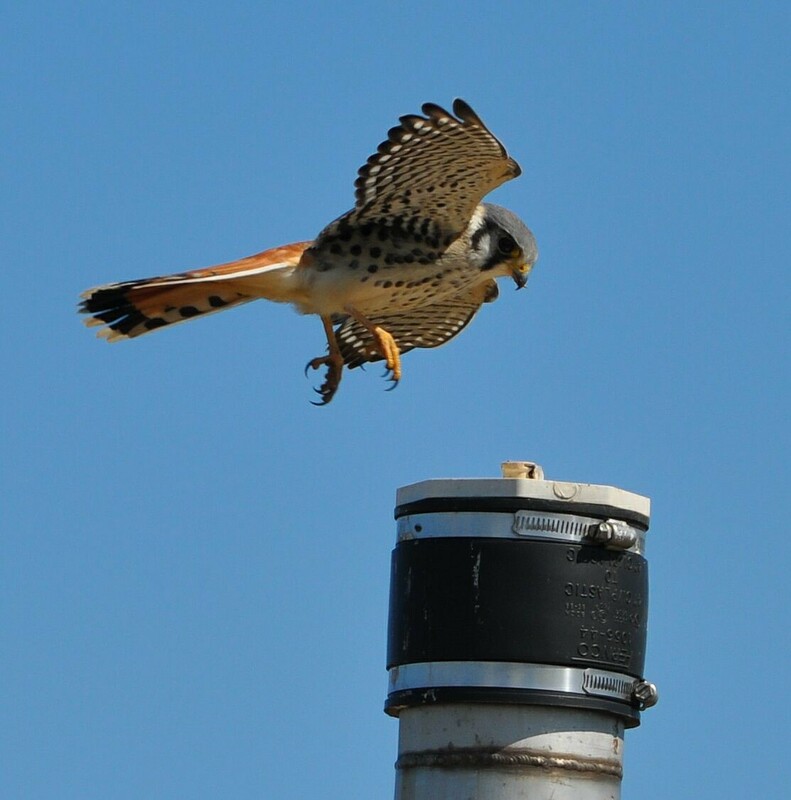 Foraging locations are in much demand during migration for many birds including American kestrels. Southeastern MA consists of flat terrain of forests, cranberry bogs and areas of development. CMW stands out as a lofty grassy dome and acts as a magnet to migrating and dispersing kestrels from area nest boxes and other migrating raptors. 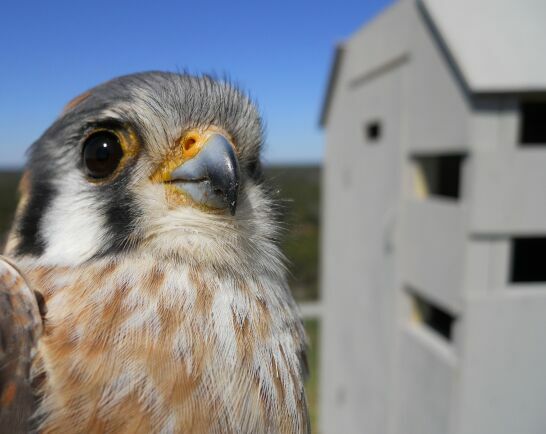 Some kestrels that were banded originally in NH, CT, PA, NJ and other parts of MA by other banders have visited CMW. It is interesting to note that depending on weather and wind conditions, CMW can be productive in spring and fall where most hawk watch sites are either one or the other. The list of captures is below. The kestrel returns include birds previously banded by Mason or other banders in and out of state. We are lucky to have access to this closed to the public location. 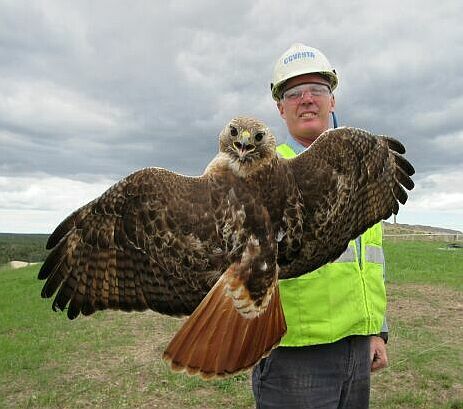 This project is supported in part by Covanta Energy Corporation, Eastern Mass Hawk Watch and South Shore Bird Club. Images may not be reproduced without the permission of Austin or Joey Mason © 2011.